Today’s interview is a bit of a collaboration…SCBWI (Society for Children’s Book Writers and Illustrators) is doing new “Author Spotlight” pieces to highlight authors and illustrators everyone should know about. The Regional Advisor of the New Jersey SCBWI chapter, Leeza Hernandez (an author/illustrator extraordinaire and a Nerdy Chick herself! If you missed Leeza’s interview one this site, click HERE to check it out) featured the wonderful, energetic, fabulously nerdy Kathy Temean, and to go with that profile, we’ve got an interview of Kathy here at Nerdy Chicks Rule! 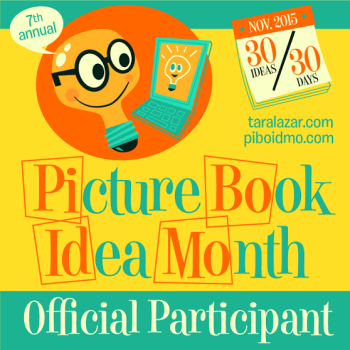 Kathy is an author/illustrator and retired New Jersey SCBWI Regional Advisor. She is the author/ illustrator of Horseplay and many magazine articles and artwork. Individuals, major corporations, and businesses have commissioned her artwork. Kathy is the owner of Temean Consulting, www.temeanconsulting.com, a company that creates websites and helps writers and illustrators market themselves. She publishes a daily blog WRITING AND ILLUSTRATING www.kathytemean.wordpress.com, which offers valuable tips on everything you need to know about writing for children. She also conducts interviews with agents, editors, authors, and illustrators in the field. Kathy writes MG and YA novels and illustrates children’s books. 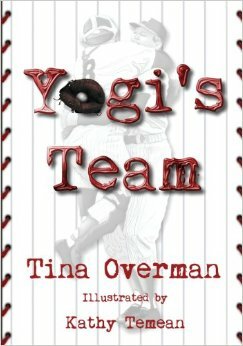 Yogi Berra written by Tina Overman and illustrated by Kathy came out in September. Welcome, Kathy! So, Kathy, you’ve been involved in children’s publishing for a very long time. How do you see the books that are being published today as helping to empower girls to be smart (or, as we like to call it, nerdy)? Girls are very lucky today. The books written today for them are excellent and there are so many good choices for teens. I think they are reading more because of the great books and writing that reflects their world and the type of strong girls they want to become. Very, very true. Tell us about a fictitious nerdy chick you admire and why you admire her. I have a lot of nerdy real life chicks I admire, but I guess for a fictitious one, I would chose Lily Hancock from “Lies Beneath” written by Ann Greenwood Brown. Lily never gives up, even when she falls in love with a murderous merman who is planning to kill her father to revenge the death of his mother. She works through all of it to find a way to make things work. We agree — more people should understand how important creativity is to success. Now, in addition to being an author and illustrator, you are also an art educator. How do you see arts education as being important for today’s kids? I feel any kind art builds creativity. Creativity helps in everything you want to do in life and spurs new ideas to get you where you want to go. Most people don’t give that any thought, but I have used all the creative things I learned in art with every job I’ve had to be successful, so “Yes,” I think the arts are just as important as the rest of the curriculum in school and is especially important to children who may not excel in other subjects. I collect cows. Yes, cows, but not real ones. Ever since I was in Chicago and saw ‘Cows on Parade,’ I have been into cows. I would like to buy a big concrete cow for my front lawn and decorate it each month, but I know my neighbors will go crazy and torment me about it. Is that nerdy enough? Perhaps someday, I will do it in my backyard. Years ago when I worked for Kraft Foods, they were giving away a Lincoln Continental as a prize, so I talked a car dealer into letting me take one of their cars into an Acme Food Store and building a big display of Kraft Food around it. There was a lot of coordinating to pull that off. We even had to take the front windows out of the storefront to get it inside the store. I won a big award for that accomplishment. Thank you, Kathy, for being with us here today, and for sharing your thoughts. To learn more about Kathy, visit her website (www.kathytemean.com), her blog (www.kathytemean.wordpress.com) or follow her on Twitter: @kathytemean. 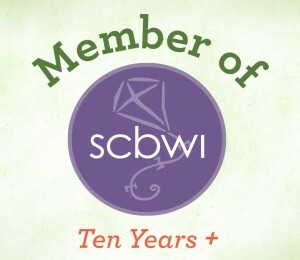 And to read Kathy’s interview with SCBWI, click HERE, and to learn more about SCBWI, click HERE. This entry was posted in Nerdy Chick Interviews and tagged American women, art education, art educator, author, children's author, education, Illustrator, kathy temean, Leeza Hernandez, MG, middle grade, nerdy chicks, new jersey, njscbwi, picture book, SCBWI, smart women writers, writing, YA. I owe my education as a writer to Kathy! Between all the NJSCBWI conferences, retreats, and workshops, I’ve met other writers, editors, and agents who have had so much information and advice to share. Kathy’s blog is a kids writer’s daily must! Wonderful to learn more about the powerhouse behind the fabulous blog! Fun interview and so nice that National featured you, Kathy! Congrats and thanks for all the help you are to the writing world! Kathy, you are such a giving lady, so glad to read more about you. What a terrific interview. You’ve given so many others the chance to be in the limelight. Fantastic to see you and your accomplishments ‘front and center’!